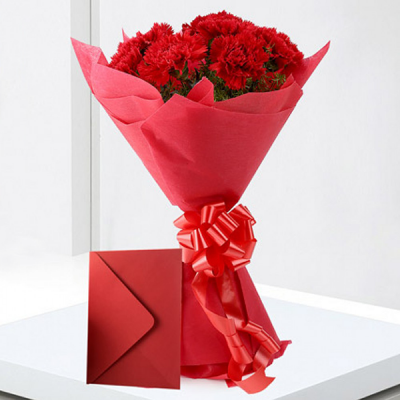 Say ‘I love you’ this 14 February by ordering MyFlowerApp’s Valentine's Day Flowers and Greeting Cards online. With a bouquet of your darling’s favorite roses, gerberas, carnations, etc. 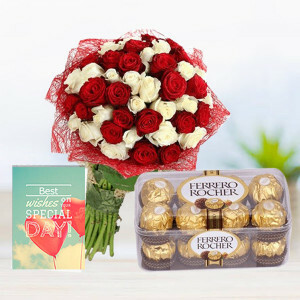 include a romantic quote and articulate your affection. 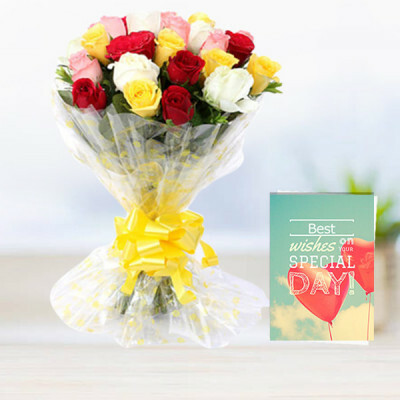 3 Red Rose, 3 Yellow Rose, 2 Pink Rose, 2 White Rose, Red Paper, Yellow Ribbon, 1 Christmas Greeting Card. 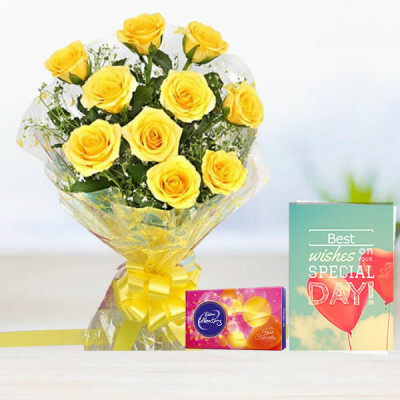 - 3 Red Rose, 3 Yellow Rose, 2 Pink Rose, 2 White Rose, Red Paper, Yellow Ribbon. 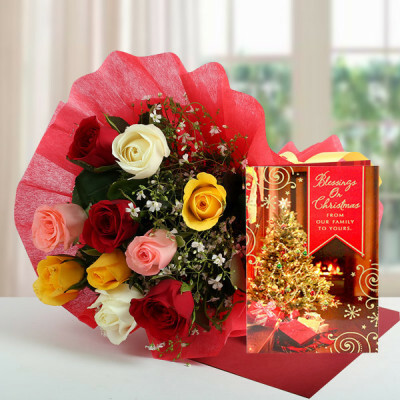 - 1 Christmas Greeting Card. 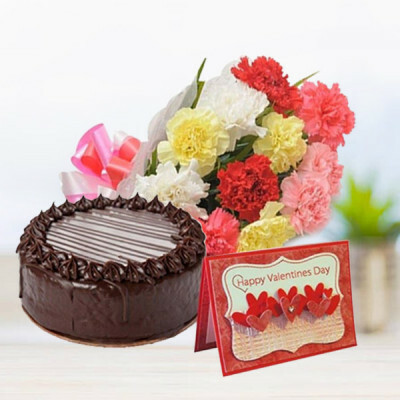 Romantic flowers and gorgeous greeting cards with an amorous message are the staples of Valentine's Day. As a fat, ever since ‘Mother of the American Valentine’, Esther Howland started creating Valentine cards, Valentine's Day has become the second largest holiday for sending and receiving greeting cards. If you are in love too, utilize the opportunity this day gives you. 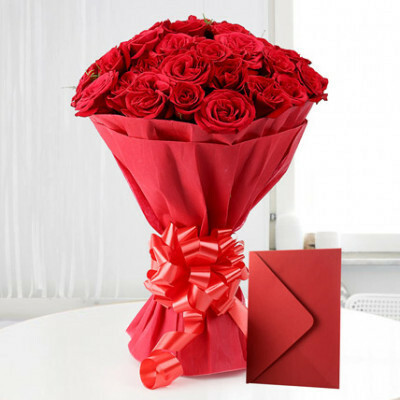 Take forward the tradition and add a little modern twist to it by sending Valentine’s Day Flowers and Greeting Cards online. 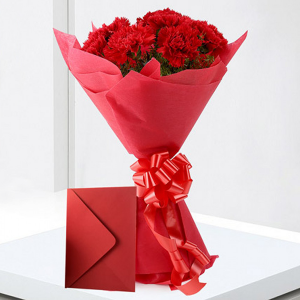 Even if you are far from your partner, you can still celebrate Cupid’s holiday with them, through MyFlowerApp. We will deliver your order anywhere in India, within 3 hours, with our express delivery services. 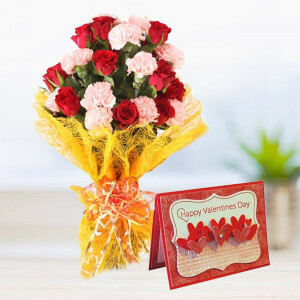 MyFlowerApp brings to you, a plethora of gorgeous flowers to send to your soul mate. 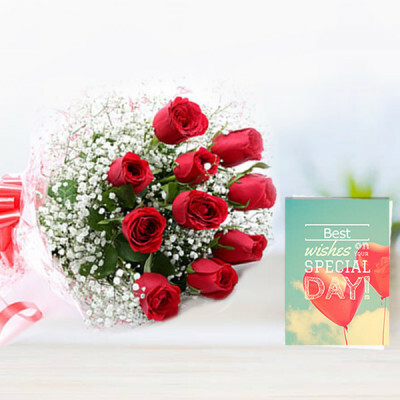 Select their favorite bunch, or get mixed flowers set in gorgeous floral arrangements, or if undecided on what to do, go with the failsafe red roses bouquet. Include with it, a romantic message or poem, like “Locks are never made without a matching key. Luckily for me, you came into this world with the key that unlocks my heart. It’s safe to say that we’re meant to be. 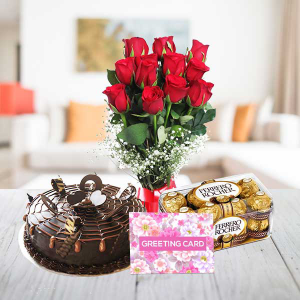 Happy Valentine's Day baby!” Select your favorite combo, or design one yourself with the help of our expert florists, and then leave the rest to us. 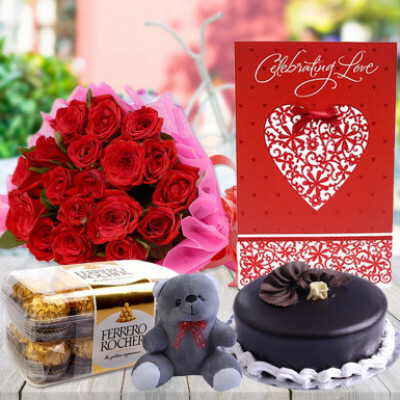 You can even include their favorite chocolates, cake, a personalized gift, or a teddy bear, etc. to the combo. 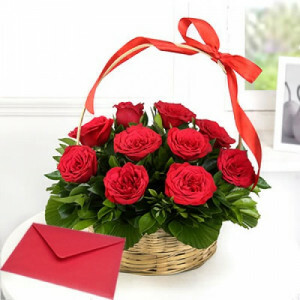 For anyone in love, their beloved is the absolute best. 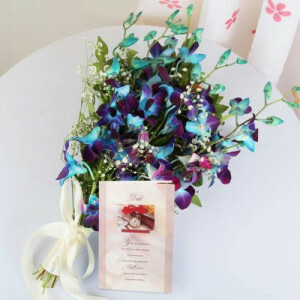 You know your darling is worthy of only the best, so visit MyFlowerApp.com and get them what they really deserve. 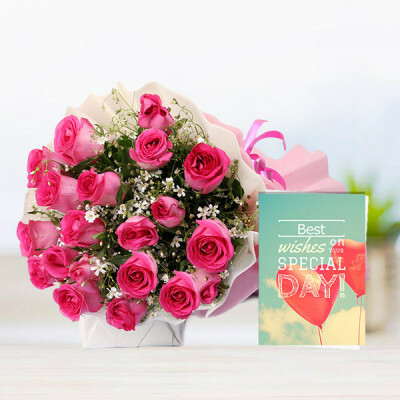 Select from our numerous elegant bouquets, vases, baskets, and floral arrangements designed by proficient artisans, add your message to the greeting card and we will deliver them for you. 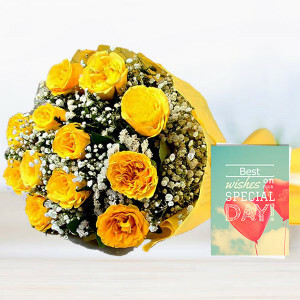 Apart from all the places in India, including major cities like Pune, Mumbai, Chennai, Bangalore, Hyderabad, Delhi, Kolkata, and Gurgaon, we also deliver overseas. You can now send your love online, easily, to countries like Sweden, Australia, United Kingdom, Canada, Singapore, Malaysia, Germany, France, South Africa, United Arab Emirates, United States, and more.